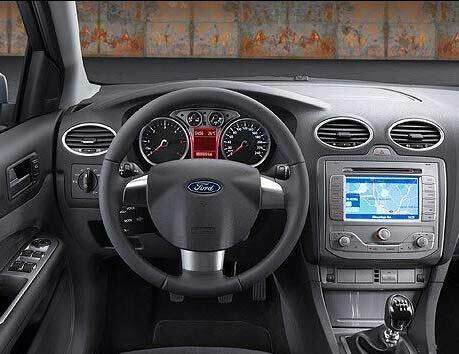 The new Ford’s come with an optional upgrade MFD Multi Function Display Satellite Navigation System. They’re pretty cool, look great in the dash but at £1000-£1800 they don’t come cheap! – Some in fact don’t even do the basics like navigate via postcode which lets face it even the cheapest TomTom can handle. Others have had faults where the CD player won’t allow you to Pause/Stop a CD from playing without either making a call or turning the unit off completely. The main problem which a lot of owners are facing is the screen failure which is common across the entire Ford range to which the units are fitted to. When they fail, Ford render the unit useless and advise that it must be replaced – if it’s replaced under warranty then you’re very lucky but otherwise it seems like a very costly replacement which makes us question whether or not it’s feasible. Before parting with your hard earned cash, there is a very good chance that your existing unit can be repaired saving you a LOT of money. No programming, no hefty bill on a new unit and the best part is we now offer all repaired units with our Lifetime warranty – and it’s completely plug & play when the unit is returned to you. What exactly do we do for you? – We’ll strip down your existing unit and connect it up to our uniquely purpose built test rig and bench test your unit to determine exactly where all the faults are. After the initial soak test, we will then carry out any necessary repairs, replacing any major components that are necessary including the liquid crystal display (LCD). Once the repairs have been carried out, the unit will be re-assembled and connected up to our rig for a final bench-test to determine full & complete functionality before returning it to you with our full Lifetime warranty. There are various models of these navigational systems and even if you’re driving a different vehicle with similar issues, it’s possible that we can still help you. 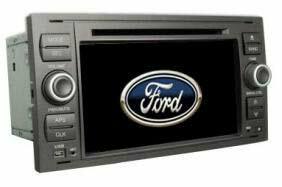 If you’ve got an issue with your Ford Satellite Navigation Unit, then before purchasing a new unit give us a call and see how we can help you today. On the other hand, if you’ve just lost your satellite navigation SD card then check out our blog on the Ford Sat-Nav SD Cards. We carry them in stock and are readily available to order right away at a fraction of what it would cost you to buy direct from Ford main dealer. Tags : 6583 9117563-02, 7 612 300 520, 7 612 300 524, 7 612 300 533, 7 612 300 534, 7 612 300 536, 7 612 300 573, 7 612 300 579, 7 612 300537, 7 612 330 680, 7 612 360 533, 7 612 360 536, 7612300580, 7612300670, 7612330741, 7S7T-18K931-BH, 7S7T-18K931-BJ, 7S7T-18K931-BL, 7S7T18K931-BJ, 8C1T18K931-AA, 8M5T-18K931-JD, 8M5T-18K931-LA, 8S7T-18K931-AC, 8S7T-18K931-AD, 8S7T-18K931-BB, 8S7T-18K931-BC, 9M5T-18K931-CC, 9M5T18K931CA, BV4T-18K931-AB, focus navigation screen problems, focus sat-nav screen fault, focus sat-nav screen problem, focus sat-nav screens fixed, focus satelite navigation unit, ford focus navigation screen, ford focus satelite navigation, ford focus satelite navigation screen failure fixed, ford focus satelite navigation screen problem repairs, ford focus satellite navigation, ford focus satellite navigation screen, ford focus satellite navigation screen failure, ford focus satellite navigation screen problems, ford focus satellite navigation screen repairs, ford mondeo sat-nav screen repairs, ford mondeo sat-nav screens fixed, ford mondeo satellite navigation errors, ford mondeo satellite navigation failure, ford mondeo satellite navigation issues, ford mondeo satellite navigation problems, ford mondeo satellite navigation unit screen repairs. My Ford S Max Sat Nav is not reading the dics. It’s giving noise and turning off and on itself even I switch off the ignition. Hi I’ve a Ford focus Titanium nav ! On a 14 plate My radio/sat nav screen has just gone blank !! Can u help ? My ford focus centre display Stays black. Is this something that could be repaired. Screen failures are very common in this unit and do have the facilities to fully bench test and repair the unit. I have sent you an email with full information and pricing. I have 57 Ford S Max that does not read maps and just says insert original data carrier. My Ford HS RNS systems has started to play up! The radio switches itself off and on again whilst driving, there is a clicking noise in the cd part ( even though there is no cd in it )!! Also the whole system intermittently shuts down. Please Could you let me know if this is something that can be fixed and of course the cost!! It’s a common problem for the Ford MFD unit to fail in this way and we have a great success rate in repairing these units. I have sent you an email with full information and pricing. If you have any questions, please reply to the email and we’ll be happy to assist you.